Little else is quite so frighteningly intimidating, yet wonderfully rewarding, as stepping into a new Hitman game for the first time. While the first level is a fraction of the size of the others, these vast assassination playgrounds allow you to explore, poke around, and get up to all sorts of murderous mischief. It’s the kind of game where discovery is half the fun. For the times when it can be overwhelming, or where you just need that extra bit of information to master the level, we suggest you direct your eyes to this robust Hitman 2 guide hub. It offers you a surreptitious nod in the right direction for finding the disguises, how to assassinate every target in Hitman 2 and how to beat Hitman 2’s challenges. Think of this guide hub as your Agent Diana Burnwood in text form, delivering all the intel you need for a successful mission. Good luck, Agent 47. From this hub, you’ll be able to access every single page of our Hitman 2 guide that’ll take you through all six locations Agent 47 visits on his 2018 assassination tour. The bar-coded baldy is racking up some serious air miles once again as he visits New Zealand, Miami, Columbia, India, the USA and some mysterious island in the North Atlantic while hunting for childhood acquaintance Lucas Grey and faux-Illuminati super-group, Providence. Essentially, the purpose of this trip is going be to take out a line of clueless schmucks in the sneakiest way that’s possible. Sure, the game gives you a gun, but where’s the fun in that? There’s something devilishly delightful when you approach the Hitman games (no, not you, Absolution) looking for that sadistic yet comedic joy that comes from ending someone’s life in the most ridiculous and elaborate way possible. I’ll point you to some of our favourites, as well as everything else you could possibly want to know in our Hitman 2 guide. Santa Fortuna – a breakdown of the Three-headed Serpent mission in Hitman 2, including where to find disguises, key items, points of interest and more. Mumbai – a breakdown of the Chasing A Ghost mission in Hitman 2, including where to find disguises, key items, points of interest and more. Whittleton Creek – a breakdown of the Another Life mission in Hitman 2, including where to find disguises, key items, points of interest and more. Isle of Sgàil – a breakdown of The Ark Society mission in Hitman 2, including where to find disguises, key items, points of interest and more. Hawke's Bay Silent Assassin – A step-by-step guide to finishing the Nightcall mission with the Silent Assassin rank. Miami Silent Assassin – A step-by-step guide to finishing The Finish Line mission with the Silent Assassin rank. Santa Fortuna Silent Assassin – A step-by-step guide to finishing the Three-headed Serpent mission with the Silent Assassin rank. Mumbai Silent Assassin – A step-by-step guide to finishing the Chasing A Ghost mission with the Silent Assassin rank. Whittleton Creek Silent Assassin – A step-by-step guide to finishing the Another Life mission with the Silent Assassin rank. Isle of Sgàil Silent Assassin – A step-by-step guide to finishing The Ark Society mission with the Silent Assassin rank. Hitman 2 Elusive Target – Mark Faba (Sean Bean) – Watch as Matthew from our video team tells Mark Faba how he’s going to kill him. As the saying goes: an under prepared assassin is an awful assassin. Quiet, they definitely do say that. So, before you head into a mission, be sure to explore all the options available to you in terms of your load-out and starting location. Do you want to bring a gun? Would you rather carry no weapons so you can get through frisks safely? Do you have a few coins to distract dim-witted guards? Perhaps some pills to knock out an unsuspecting target? 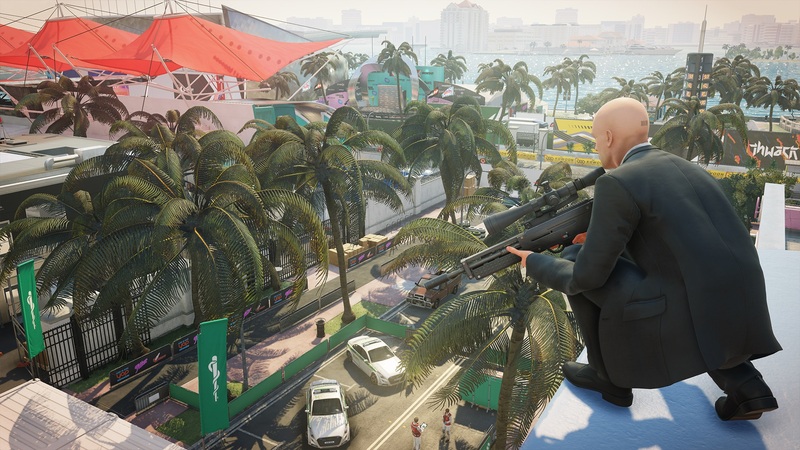 Many resources you can actually gather while on site, but for bigger items like sniper rifles, it’s usually best to BYOG tucked away in Hitman 2’s returning suitcase – especially if you’re after those Sniper Assassin challenges. In terms of starting locations, you’ll only want to worry about those on repeat runs if you’re looking to position yourself better for a specific assassination technique or just to test yourself with a different approach. Some will even start you in useful disguises, so take advantage of that if you plan to infiltrate a certain area of the map from the off. What you want to do when you enter a Hitman 2 location for the first time is get a good lay of the land. You don’t need to pull off the perfect plot on that debut run, but instead casually wander and see which opportunities present themselves. Half the fun of the game is uncovering these unique scenarios that start the homicidal cogs whirring in your brain to create some savage kills. Also, if you’re playing with it, exploit the hell out of Instinct mode. This extremely overpowered vision aid highlights everything of use to you in the environment: from the targets you need to assassinate to environmental objects you can interact with and interesting items available to collect. Something there will often give you the inspiration you need to make progress. As you move about, remember to scout out the locations of guards and clearly gated areas, as that will give you a good idea what key items or disguises you might need in order to slip through without trouble. Hitman 2 offers a whole forest of branch paths to reach the same end goal, it’s up to you to venture down the ones that look most interesting. The more time you spend in a location the more you see, so don’t try and rush through to your targets immediately. Take a pause, watch the world go by around you and you’ll start to see all the opportunities available to you. Listen to incidental dialogue as well, as the random NPC chatter can give you many worthwhile leads. If you’re feeling stuck, make use of the ‘Mission Stories’ system as it will point you in the direction to some of the unique assassination methods in each Hitman 2 location. You can stumble upon them yourself as you explore or set the game to track them for you so you know where to get started. Similarly, flicking through each location’s challenge list could give you a few hints to uncovering interesting secrets or unorthodox techniques for completing a level. Focus on just a few at once so you don’t overwhelm yourself. Disguises are your keys to access so many locations in Hitman 2. You should always be able to find a lone guard or out of place character standing by a convenient hiding spot waiting to have their clothes stolen. From there you can wander off to see what areas you have access to in your new duds. 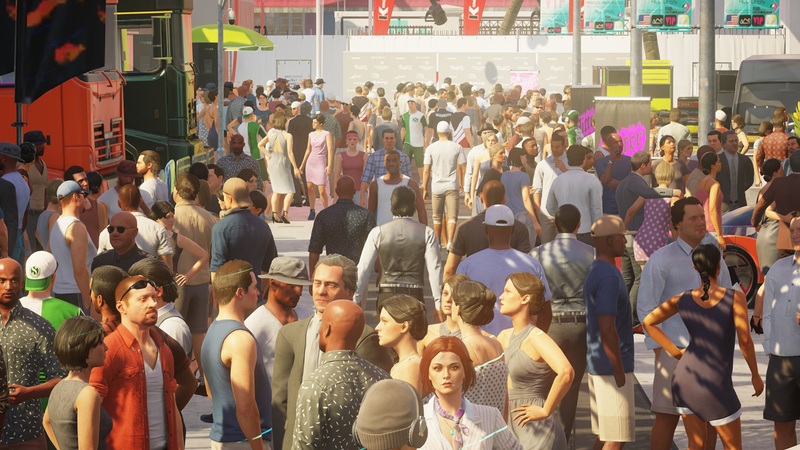 Agent 47 has obviously studied the work of Ezio, Altair and the rest of the ancient assassin’s order as he can now blend into crowds and foliage in Hitman 2. You’ll find it won’t offer complete safety from some eagle-eyed NPCs, but you can slip by many before they catch you as an intruder. That should be enough to get you started. Over time each location will be expanded with more specific guides to help you find the most obscure assassination methods, tackle some of Hitman 2’s toughest challenges and tell you how to acquire Silent Assassin rating on every level. There may only be six locations but these are huge places to dissect and map sufficiently. Until then, bookmark this page and check back soon. Tagged with feature, guides, IO Interactive, Warner Bros. Interactive Entertainment, Hitman 2.